I am not a speedy seamstress. I wish I was, but I’m too meticulous and, thankfully, I enjoy the process. Once in a while, though, I need something fast, made with a pattern I’ve already altered and with familiar construction. That’s where our “tried and true” or “TNT” patterns come to our rescue. 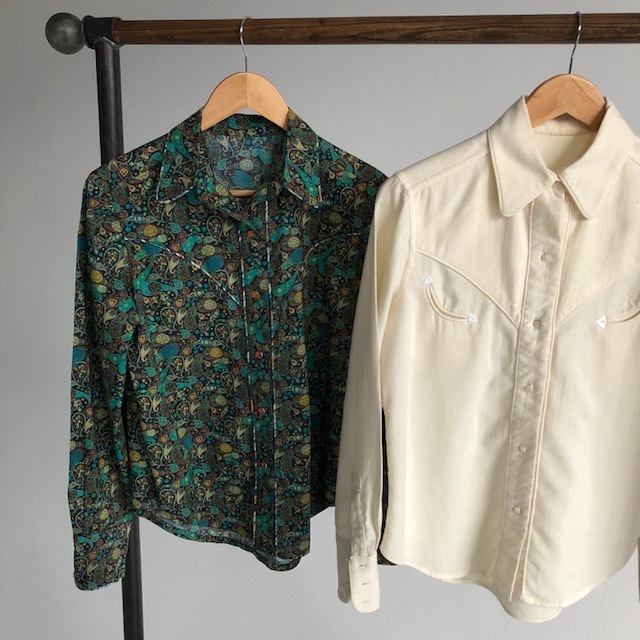 They are familiar, but with a change in fabric, sleeve, pocket, or length, we can make them look new again without starting all over from a different pattern. Each of us here at Josephine's has our own style and favorite TNT patterns. 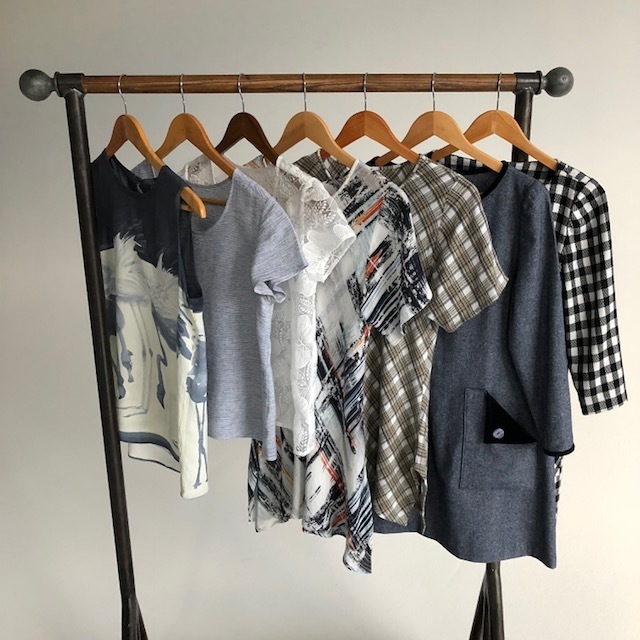 We’re going to let you peek into our closets to see some of our favorite TNT patterns and the garments made from them. I’m a fan of simple shapes, as you can see from my TNT garments pictured below. The first of my favorites is the Scout Tee from Grainline Studio. As you can see, I’ve made a sleeveless version in rayon (fabric from Josephine’s), one in linen (Fabric Depot) and a sheer version in embroidered organza (Emma One Sock). My second TNT is the Esme Tunic from the book, Lotta Jansdotter Everyday Style. My black and white check version was made with fabric from my stash and followed her pattern as written. My second one, however, was made with some changes. I replaced the neck facing and sleeve hems with velveteen bias binding. I also drafted a new pocket to show off the velveteen lining. Designer Kayla Kennington is the source of my last TNT, Vogue 9188. This pattern challenged me to learn to sew bias garments. One is made of a rayon (Mill End Store) and the other is a cotton/linen blend from my stash. Judith’s tried and true patterns allow her to play with interesting fabric combinations and couture details. 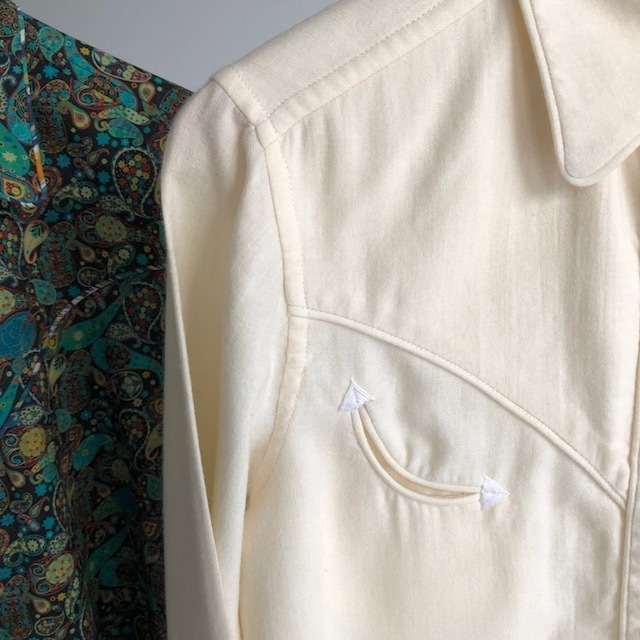 Her three blouses made from Butterick 5684 (out of print), by designer Jane Tise, showcase the different sleeve and front placket options, as well as Judith’s masterful fabric combos. The sleeveless one, as well as one of the long-sleeved versions, combine silk and Liberty of London cotton prints from Josephine’s. 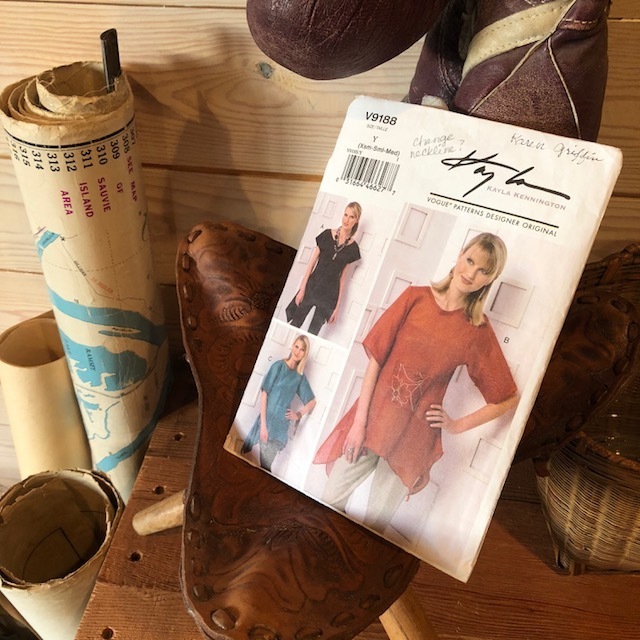 A vintage Vogue western shirt pattern, Vogue 8976 (out of print), is Judith’s second TNT favorite. She made each version unique with designer details like Liberty of London contrast piping and the embroidered design at each end of the pockets on the luxurious cream colored Viyella version. Coming up in my next post…Bini and Dana’s tried and true patterns, so stay tuned! Meet other women who love to sew, be the first to see our new spring fabrics, and enjoy some refreshments. Sign up with your email address to receive an update when we have a new post! We respect your privacy, always & forever.